The Cobia (Rachycentron canadus) or black kingfish as it is sometimes known is a most sought after species by recreational anglers and it has been on my target species list for quite a long time. 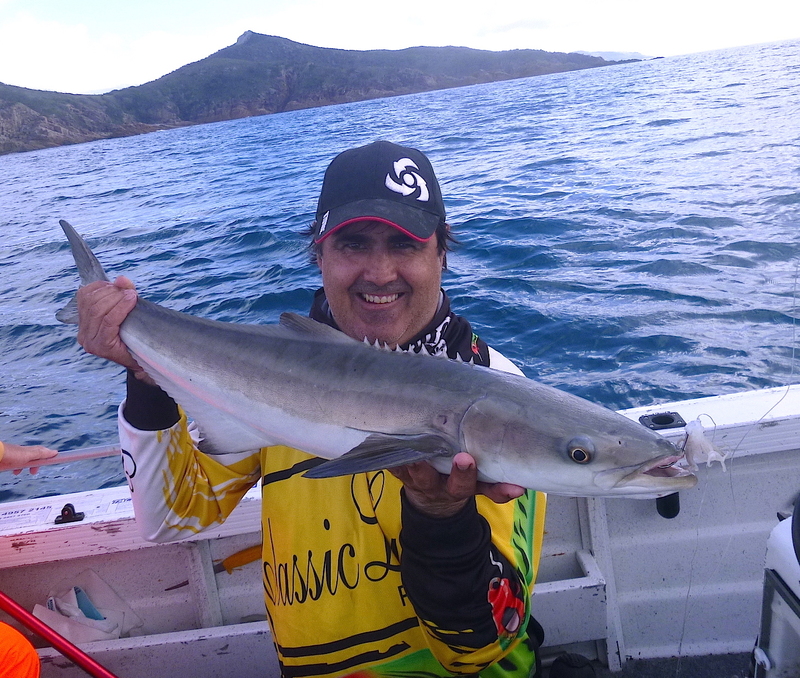 Cobia are usually caught while targeting other large pelagic species and will take baits of squid, live baits, lures, crabs or slabs of fish flesh. They are an extremely aggressive fighter and have a distinctive flat head and large dorsal and pectoral fins, because of these attributes they are commonly mistaken for sharks. Cobia can grow up to two metres in length and weigh over 70 Kg’s they have excellent eating qualities and are sometimes preferred over Spanish mackerel and other pelagic targets. With the local weather forecast looking very favourable for the trailer boat brigade to get out a bit further than their local creeks I recieved an invitation to join a couple of mates Mark and Steve Clark for a fish around the islands off Sarina. Accepting this invitation gratefully I arrived at the Sarina Beach boat ramp at 3.45am as planned but when I got out of my comfortably heated ute I could tell that the weather forecast of 5 knot winds and clear skies was not entirely correct. Dark and cloudy with a 10 to 15 knot south easterly and 1 metre swell greeted us as Mark steered the 4.85 metre Sea Jay through Sarina Beach inlet into the open water for a roughly 50 mile journey to our preferred fishing grounds. Reaching our destination at sunrise we prepared for a bit of bottom bashing as we anchored up over a usually productive reef structure off a small island. I landed the first fish of the day, an undersized red emperor with a couple more coming over the side along with small wire netting cod and Spanish flags (commonly referred to as stripies). 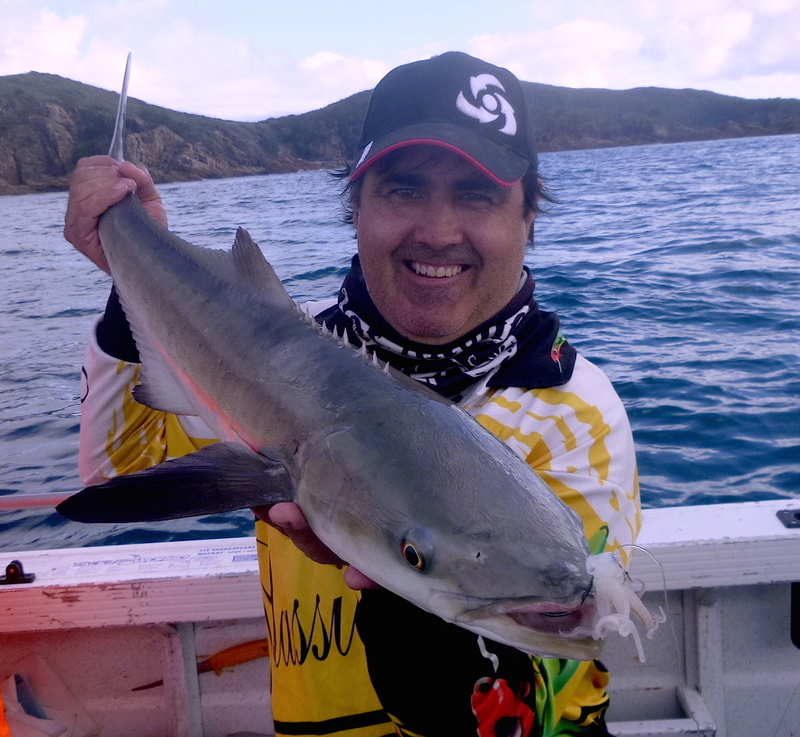 We decided to up anchor and head over to another larger island close by, I tossed some soft plastics in amongst some bait schools for a while with no result and after nearly 2 hours of fishing had only one legal stripy in the esky. 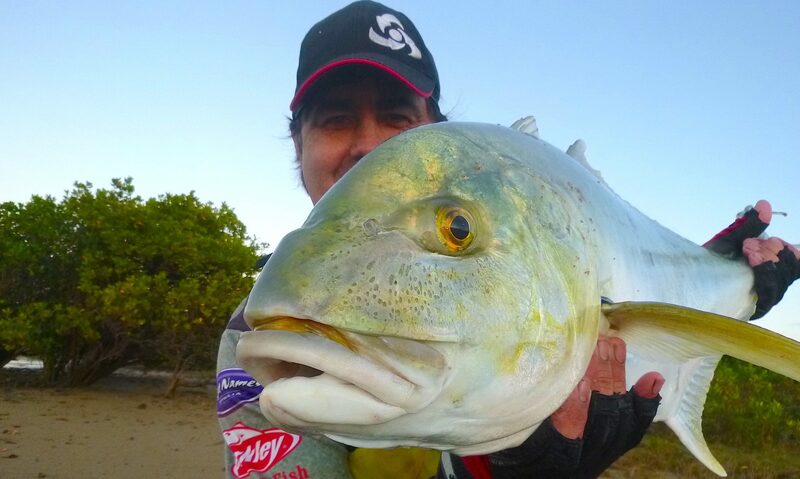 Exploring new ground I was instantly rewarded with not a large but well over legal sized sweetlip which succumbed to a well presented squid bait and our esky had yet another occupant. All the while small cod, stripies and juvenile red emperor were being landed regularly but none had any size and our baits were being picked clean on every drop. That was until I dropped down half of quite a large squid, as soon as the bait hit the bottom and I locked the reel into gear it was smashed hard, I set the hook just as hard and instantaneously line began to peel off my Penn GT 330 with ease. Tightening the drag only seemed to fire the fish up more as it steered me to the other side of the boat but after a few minutes the fish began to tire and after one failed gaff attempt an 85cm Cobia was netted beautifully by Steve. With the legal size for these fish being 75cm this one was by no means a monster but with the fishing being unusually quiet it was a welcomed addition to our meagre tally for the day and yet another species ticked off my bucket list.